Home / boats / Children / Community / entertainment / Carnival at The Wave, and people racing in boats. Carnival at The Wave, and people racing in boats. 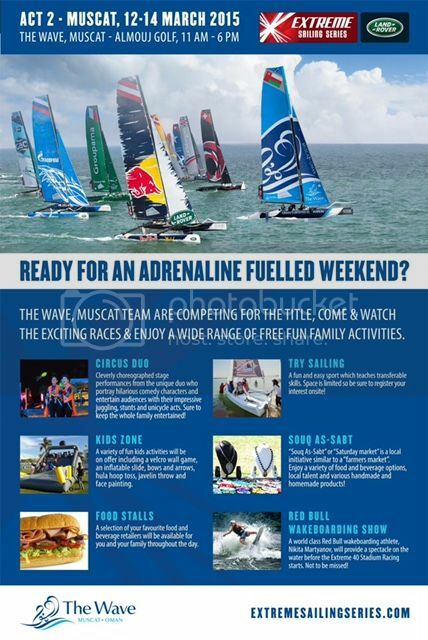 The Wave started its Carnival yesterday, and the Extreme Sailing series event started this morning at 11am. Today, tomorrow and Saturday see's the Carnival continue at The Walk every evening from 5pm until 10pm. 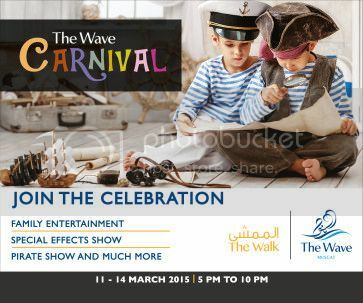 Something fun for the kids for the weekend, as the Carnival features a pirate show in the early evening along with lots of special deals at the restaurants around The Walk and even there are home-made food stalls for you to check out too. There's puppet shows, clowns and jugglers and a pirate parade! There's also the night market with the home-made stuff that runs till 10pm. The sailing event also runs for the weekend with the conclusion scheduled for about 6pm on Saturday - so if you like boat-racing, now's your time to go and watch it live and in person. I had baby Havaianas confiscated from my shop because they had tiny cartoon skull-and-crossbones on them. I hope the Ministry doesn't raid the Pirate Show.